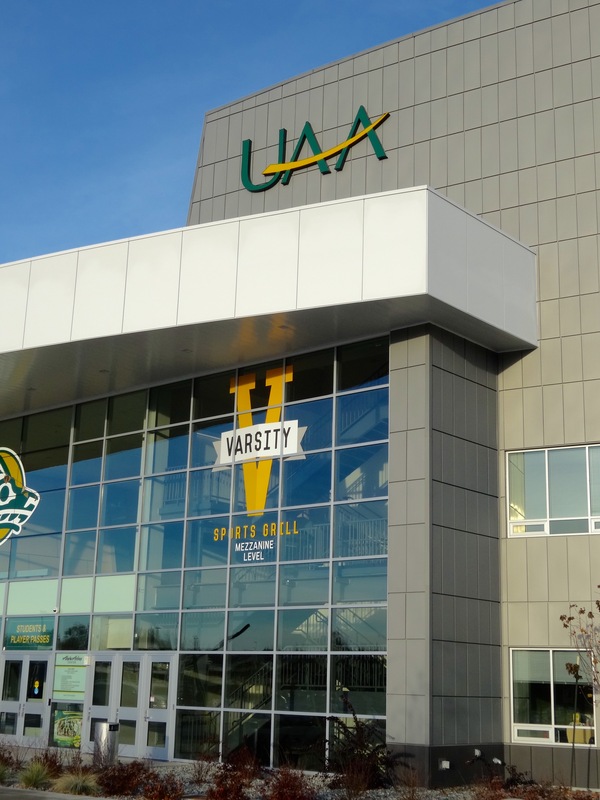 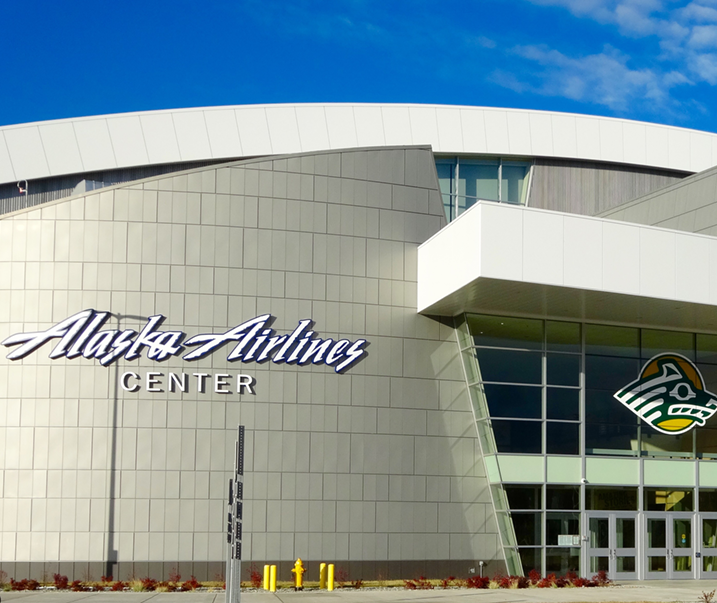 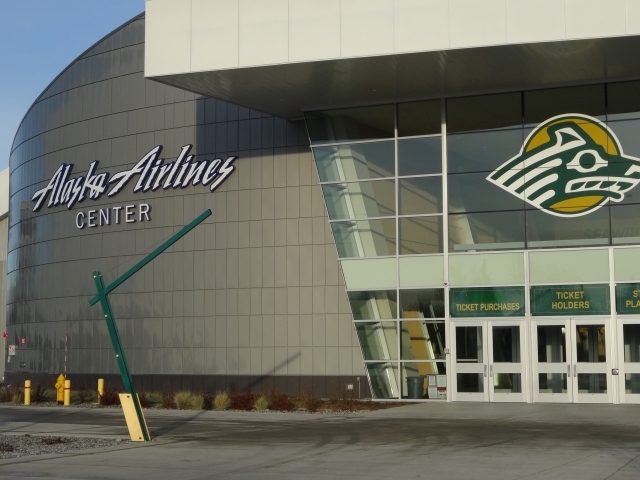 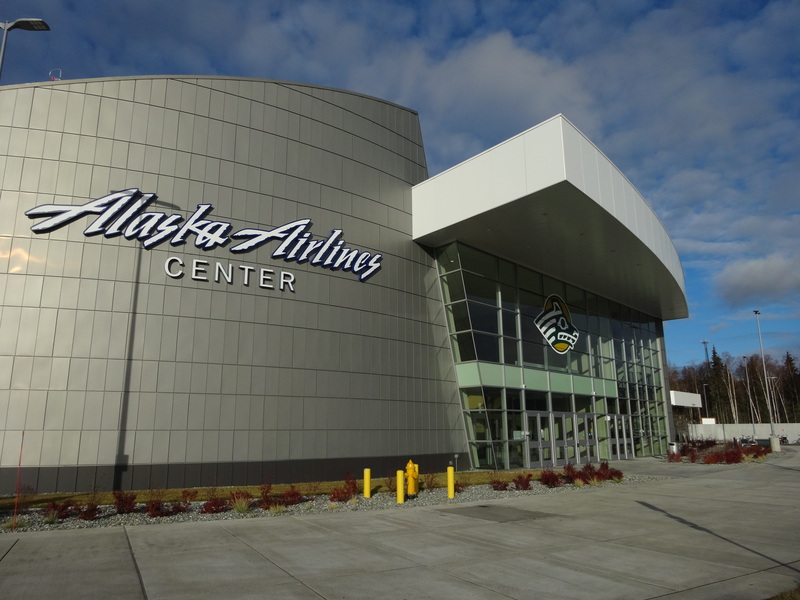 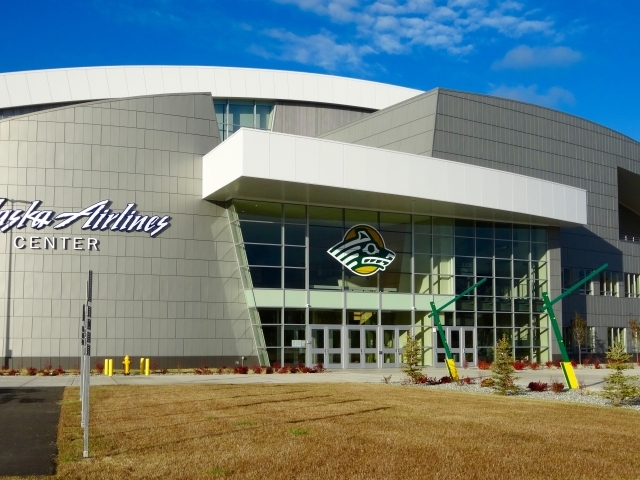 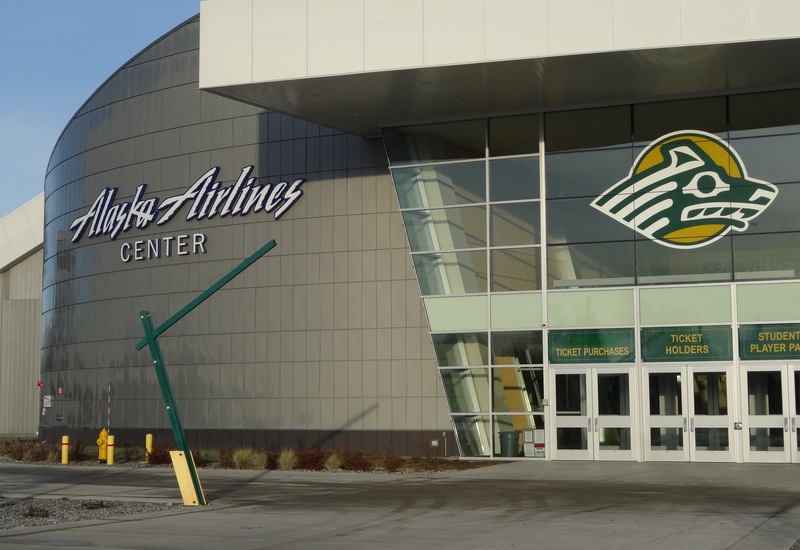 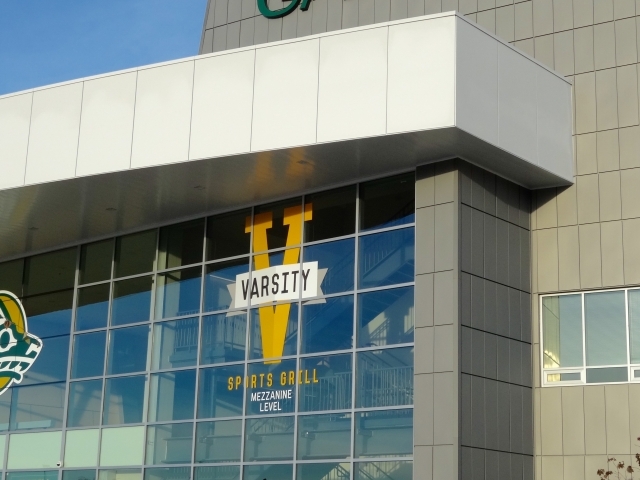 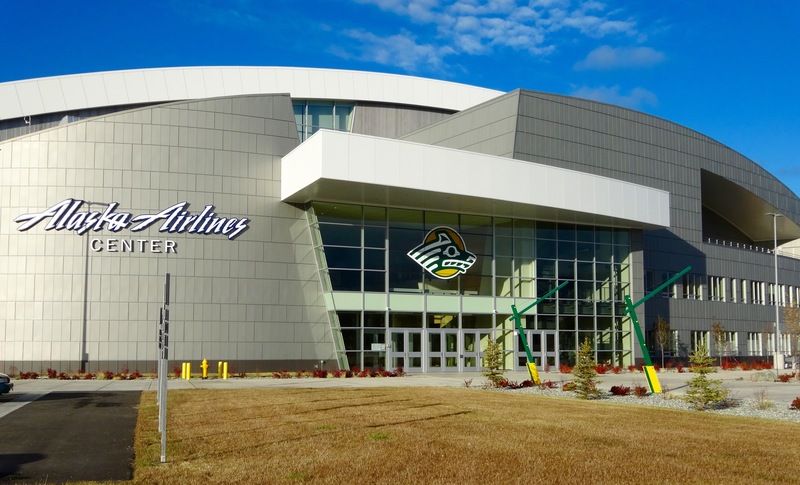 The University of Alaska constructed a state of the art sports complex, which will provide Anchorage with architectural appeal for decades to come. 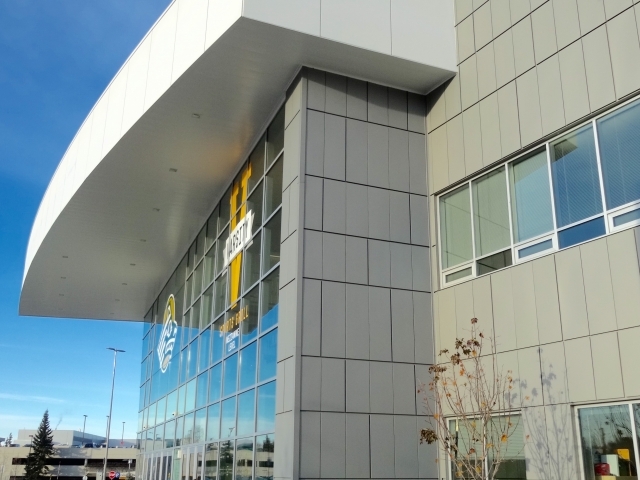 To that end, the architect designed the building to be sustainable in both material and use. 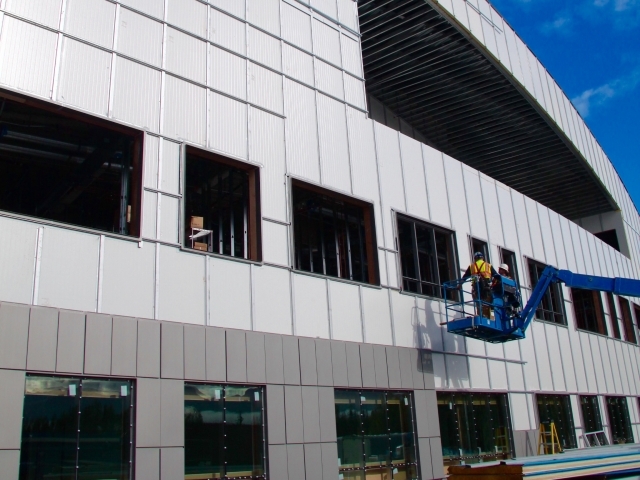 Concrete, metal and glass makes up the exterior envelope of the building. 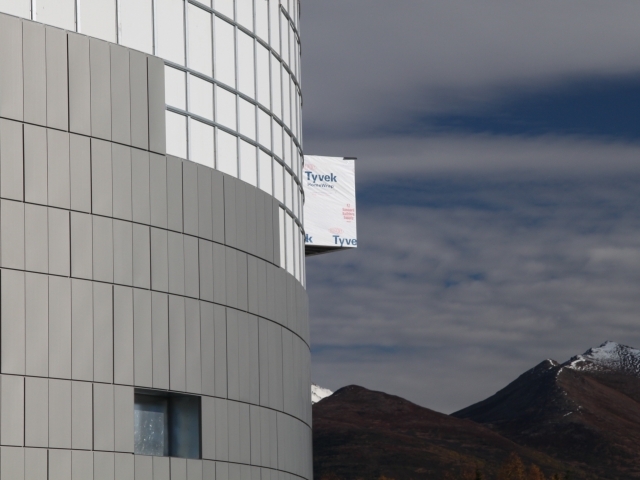 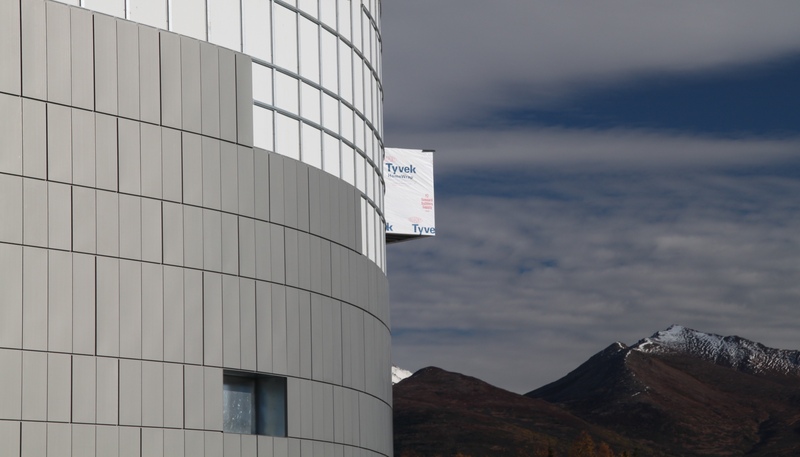 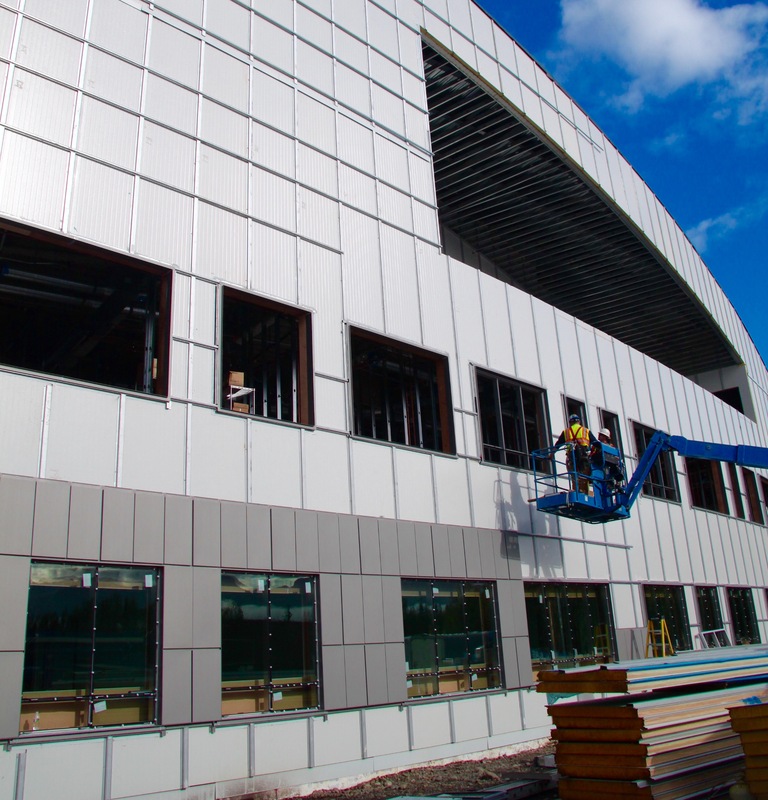 The exterior wall composition is comprised of an insulated metal panel liner for the continuous insulation with all final exterior cladding systems connected to that. 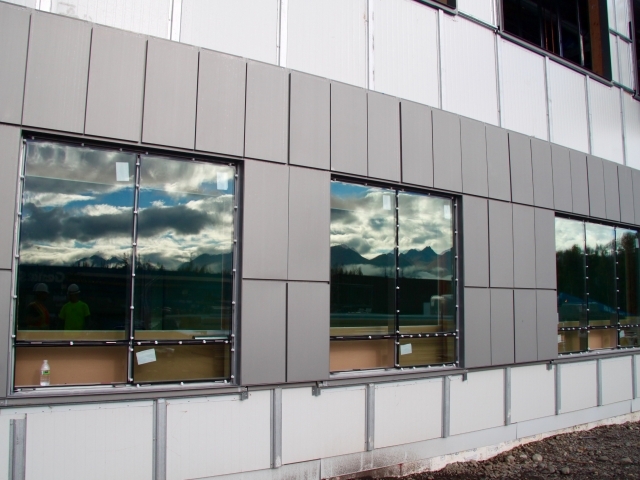 NorthClad Zinc AL Panels were chosen to provide the 100 year life span cladding at the main body of the building. 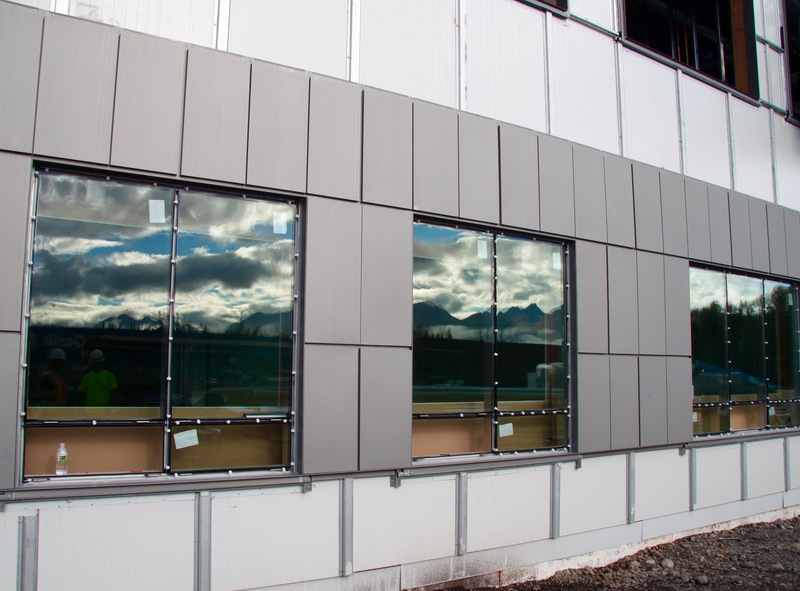 The architect worked with NorthClad to create a panel layout with random 1” wide reveals to give a dimensional appearance of having larger panels from a distance in addition to adding pattern to the wall while close. 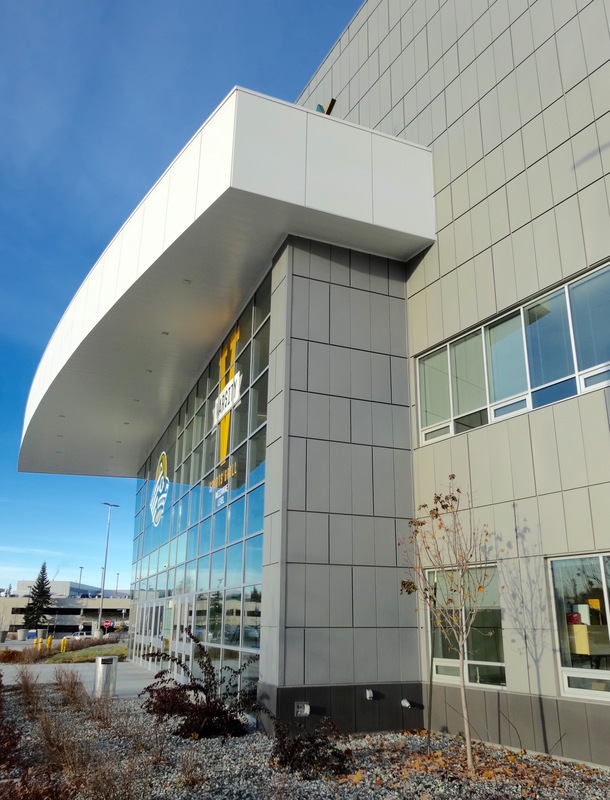 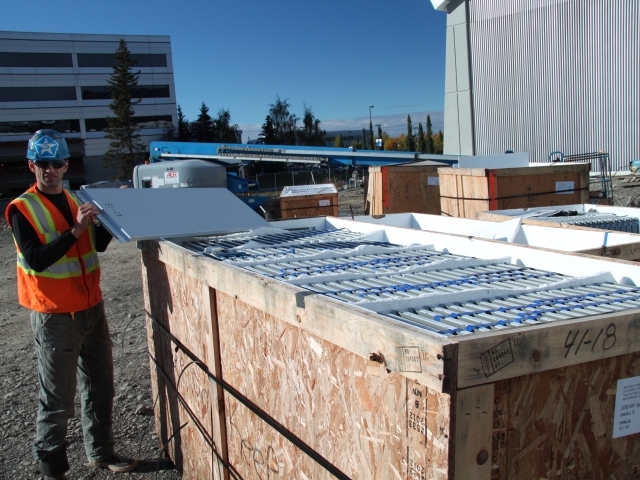 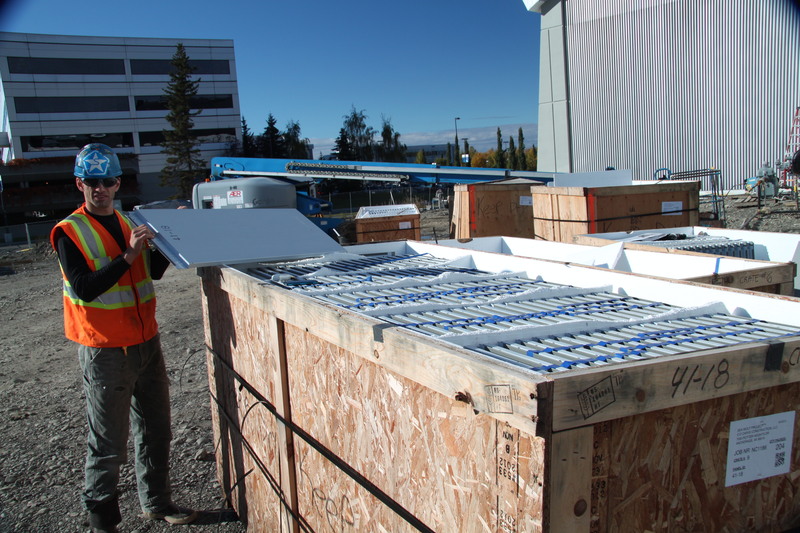 NorthClad built a mock up wall at their plant in Everett WA for the architect to come inspect prior to final design being completed.